Neopterin is produced and released by human macrophages in response to stimulation with interferon-γ and changes in neopterin concentrations indicate cellular immune activation. Pulmonary infection with Mycobacterium tuberculosis is also associated with increased neopterin levels in body fluids. 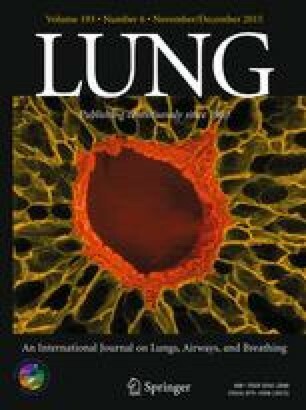 We report the clinical course, the diagnostic results, and the urinary neopterin levels of seven children (ages 10 months–66/12 years) with pulmonary tuberculosis. Two of them had progressive primary tuberculosis, in one case caused by isoniazid resistance. Diagnostic criteria included chest radiographs, intradermal tuberculosis skin testing, and culture of aspirated secretions for tuberculosis. Neopterin levels were determined by high performance liquid chromatography. The five patients with uncomplicated primary disease and a good response to therapy with isoniazid, rifampin, and pyrazinamide showed no or slightly elevated neopterin levels (mean, 458 μmol/mol creatinine). In the two patients with progressive primary tuberculosis we documented excessively high neopterin levels (mean, 2170 μmol/mol creatinine). We conclude that neopterin may be a useful parameter for measuring the degree of disease activity and the response to therapy.